As they wait at a bus stop in Peterborough three immigrants are mowed down by a passing car. Two are killed outright, but the third survives. The case is given to the Hate Crimes Unit headed by up DI Dushan Zigic and DS Mel Ferreira. They are already struggling to identify the killer of two men kicked to death in previous weeks. Both were murdered in full view of CCTV cameras by a man who has carefully concealed his face but raises a Nazi salute before disappearing. The bus stop deaths attract the national newspapers and soon the full glare of the media are focused on both cases. Racial tension in the town had already been high with far-right factions both fuelling and capitalising on it, but now it is spilling over into more violence and Zigic, Ferreira and their colleagues are under huge pressure to get an early result. 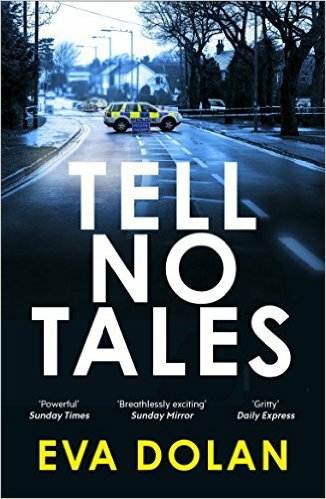 Like the first book in the Zigic and Ferreira series, Tell No Tales focuses on racial tensions in the town of Peterborough given the recent wave of East European immigration. The tale has all the elements of a compelling police procedural – engaging and well-contextualised cases, gritty realism in the interactions between the police, public and media, a strong cast of characters with the lead pair having interesting personal back stories, internal conflict within the police force and nice subplots, and a good sense of place. In particular, the story has its finger firmly on the pulse of contemporary Britain, its turn towards English nationalism and anti-immigrant sentiment, the exploitation of new arrivals, and underlying racial tensions. While the two cases are interesting and nicely told, especially as to how they gradually become entwined, the plotting did feel a little forced at times. Nonetheless, Tell No Tales is a gripping and thought-provoking page turner and I’m looking forward to reading the next book in the series.